Located in the northern part of the Philippines, Vigan showcases the Spanish heritage of our Country. It is famous for its cobblestone streets and unique architectures. If you are planning to visit Vigan and wish to take part of its historical attractions, here are some of the places that you should include in your itinerary. 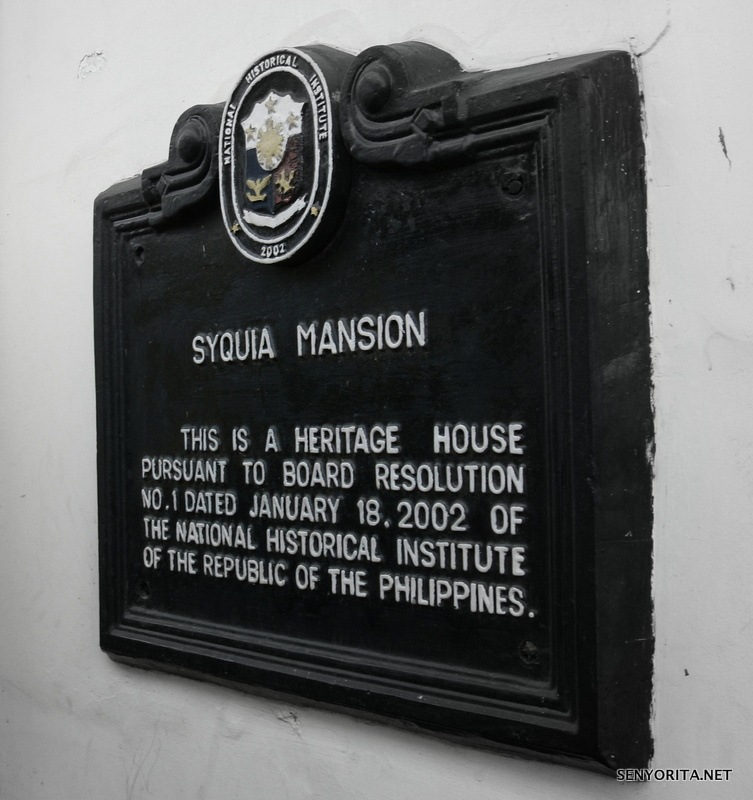 The two-storey, blue and cream painted mansion is actually owned by Doṅa Alicia Quirino, President Elpidio Quirino’s wife. Her ancestor’s roots are traced from the Chinese, Si Kia. However, his children has adopted the hispanized surname and used Syquia later on. The first lady’s ancestral home features the massive collection of memorabilias of the former president. Being the home of President Quirino, it is the place where most of the functions were held during his administration. A visit to the mansion will not only give you a glimpse of the President’s history, you will also be amazed with the elegant furnishings, elaborate paintings and exquisite chinaware on display. Like the Crisologo Museum, admission is free but a donation to the caretakers will be much appreciated. The Crisologos is one of the most prominent families in Ilocos. Their ancestral home was converted into a museum, which presents its guests with their family’s history as public servants and inspiration to the masses. Giving their visitors a glimpse on the lives of its former owners, the museum features their office, a library filled with books and a collection of photos and memorabilias from the death of former Congressman Floro Crisologo. Also seen in the museum is the car which was used during the ambush of Mrs. Carmeling Crisologo. Luckily, she survived the attack and is currently residing in a different house. Admission to the museum is free of charge. The Burgos museum is the ancestral home of Father Jose Burgos. As you go inside, you will find a vast collection of memorabilia, photographs, antiques and jewelries owned by the family. The museum also features the priest’s mini library, giving special attention to Jose Rizal’s Noli me Tangere. Rizal has been a student of Father Burgos and the book was given to him as a gift. Unlike the first two museums, the Burgos museum charges a minimal fee. Hello. I would like to offer you my article to publish on your website – https://www.visitilocandia.com.